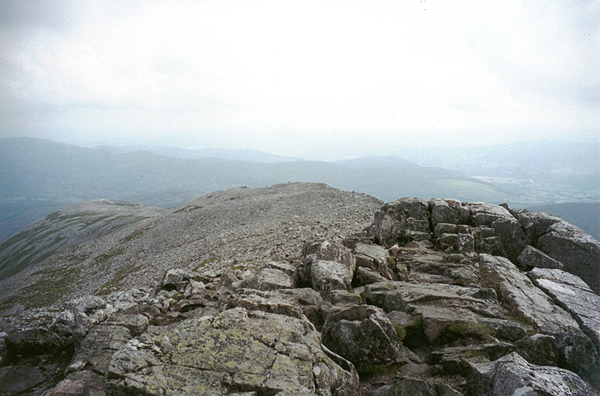 Innumerable walkers have cut their Munro-bagging teeth on the slopes of Schiehallion, one of Scotland's best known and most popular mountains. 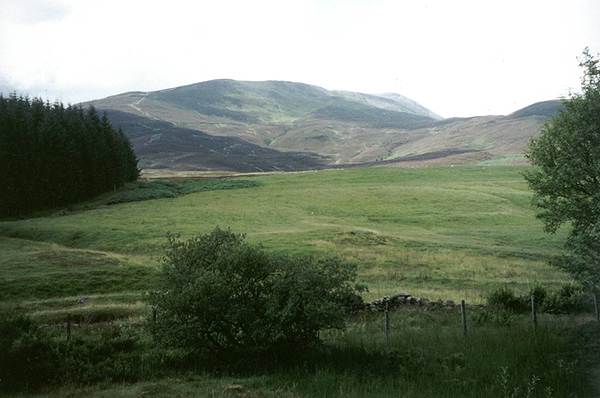 Viewed from afar, the 'fairy hill of the Caledonians' is a distinctive conical peak. Up close and personal, however, it has the look of a beached whale - a long backbone rising from the east to the summit from where the slope drops sharply to the west. Apart from being a favourite with the hill walking fraternity, Schiehallion played an important part in science. During the 18th century the royal astronomer trekked up the mountain to carry out experiments to determine the mass of the earth. These tests involved marking locations of equal height around the hill and, through this, contour lines - an important part of mapping today - were born. 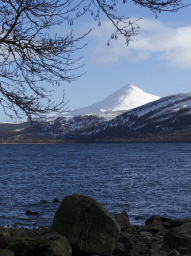 Schiehallion is now owned by the John Muir Trust, a conservation body. 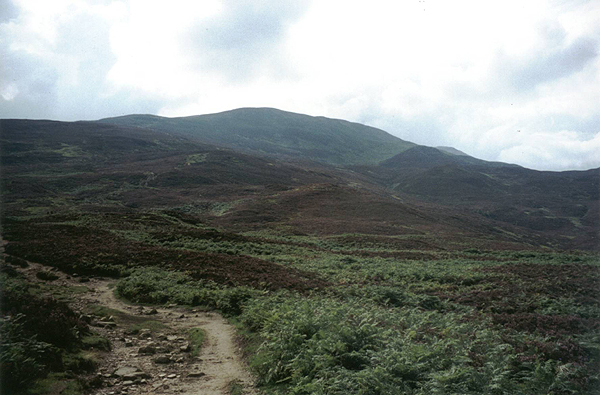 The purchase of the eastern part of the mountain in 1999 was seen by some as a bit of a departure from the trust's policy of acquiring 'wild land', like the estates it owns in the north west. However, there was no doubt that the Perthshire peak was in need of some tender loving care and there are few organisations with a better philosophy on this front. The trust funded their acquisition through a £300,000 public appeal - £150,000 to buy the mountain and the rest to pay for restoration of the path and conservation work. Decades of boot traffic have left Schiehallion with an ugly scar up her northern flank. The trust has plans in hand to deal with this, most likely through the diversion of the main path, taking it further south, then up on to the ridge at a much lower point. At the moment, however, the existing path remains the most popular and practical route to the top. The walk begins at the Forestry Commission's Braes of Foss car park, located part way up the minor road between Kinloch Rannoch and the B846 Tummel Bridge to Aberfeldy road. At the south end of the car park, by a green wooden sign pointing to Schiehallion, a path strikes off, passing through a kissing gate and then running along the edge of a grassy field, dense conifers on the left. At the top there's another kissing gate and, beyond this, the way climbs gently over open ground - which is boggy in places - to join a good track. A wide path rises from here, through bracken and heather. A couple of tiny streams are crossed - where the ground is again muddy - and the route continues to climb, twisting its way up over the hillside. Further up the solid base gives way peaty ground where the evidence of erosion is clearly seen. The ascent is hard work and continues so until you emerge on to the broad, stony ridge. The way bears west at this point, rising along the rocky backbone of the mountain. After another fairly steep climb, the angle of ascent eases off and the summit soon comes into view. The excess of quartzite stones and boulders here has given rise to innumerable cairns so route finding is not a particular problem. Pretty soon the gentle slope increases in gradient as the summit is approached. The rocks and boulders provide rough terrain for the walker and care should be taken to avoid a painful ankle twist. The top, perched upon slabs of rock, is marked by a cairn and offers fine views west over Loch Rannoch below towards Glencoe. To the east is Loch Tummel, and to the south-west the Carn Mairg horseshow, above Glen Lyon. There was at one time a trig point on the summit of Schiehallion, but it is now gone. The return to the Braes of Foss car park is by the route of ascent. Map OS Landranger 1:50,000 sheet 42 or 52. Start Forestry Commission Braes of Foss car park (grid ref NN 753557). Parking Free car park at the start, with public toilets. For more information on the work of the John Muir Trust and the Schiehallion Appeal, call 0131 554 0114 or log on to their website at www.jmt.org.